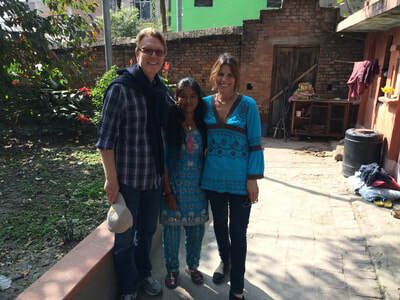 Caroline & Nisha at Nisha's house..
Providing one girl a chance to go to school is her lifeline to a better life. Statistics tell us that millions of girls in developing countries are not attending school. 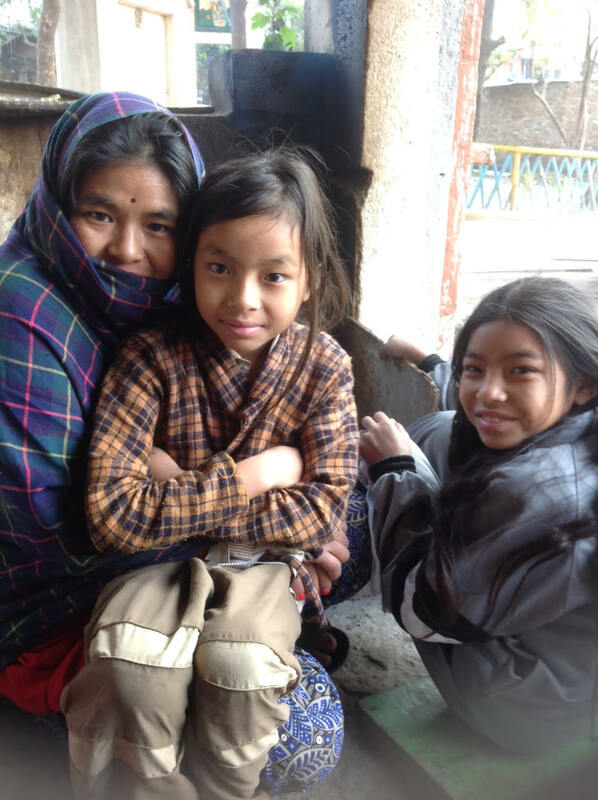 Poverty and illiteracy lead to a life of low-wage, menial jobs, ill-health and sexual and physical violence for many women and girls in Nepal. Sisters for Peace sponsors girls education through Hands in Outreach. They have a mission to educate girls. All of our girls live in extreme poverty and have no or very little electricity, no running water and the entire family lives in one room houses or shacks. As the poorest country in So Asia, education won't change the face of poverty in Nepal overnight, but eventually it will. 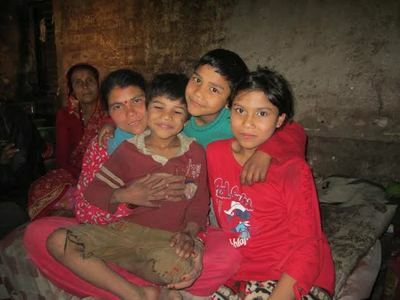 Sisters for Peace sponsors Nirmala: 10, Nisha: 12, Bimala: 12 & Minisha: 8. 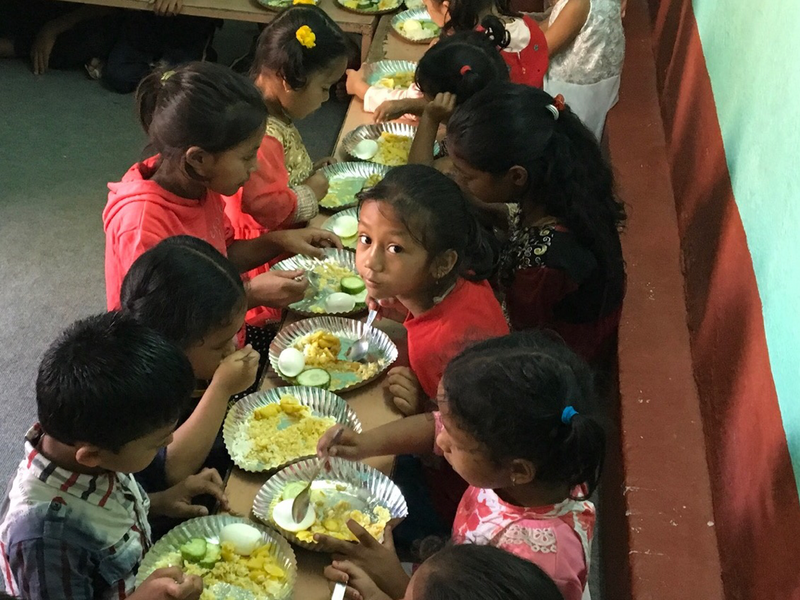 In addition to funding their education we remain in close contact with the entire family, assuring that the girls have proper housing, enough food to eat and the supports necessary to make it possible to attend school. 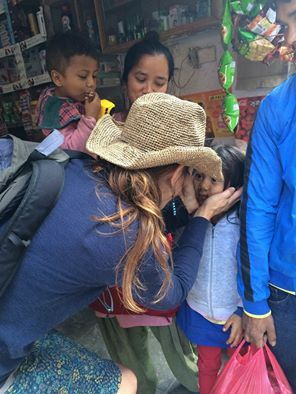 In addition to supporting the girls, we provide funds for social workers on the ground and earthquake relief funds. 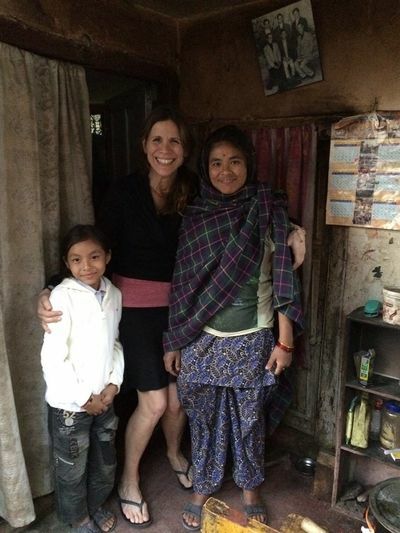 It is also part of our mission to connect women from the United States to women in Nepal. This is an extraordinary experience for all. 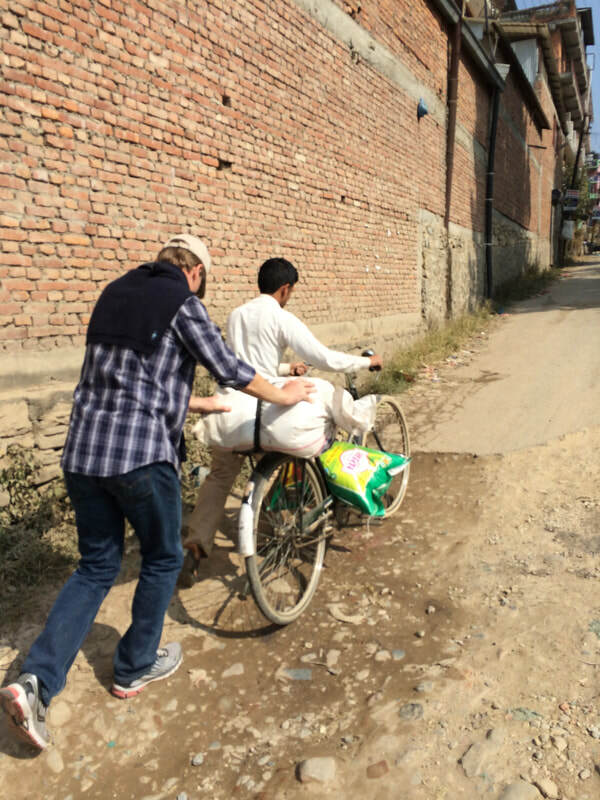 ​Please contact us if you would like to join us on one of our trips.